Richard, Thanks for posting, looks like the mother or mother-in-law is already nervous about riding in an automobile and it's not even moving. Husband is driving irritating Mother-in-law home after unannounced two week visit, notice his smile. 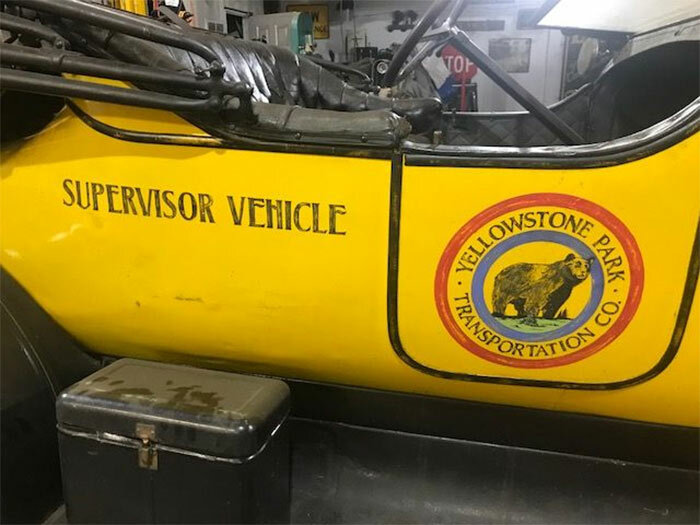 I have a barn fresh 1913 Reo roadster and it has 2 electric side lights on the cowl along side the hood on the fire wall. I believe this Reo is either a 1915 or 1916 as the cowl lights are not on the firewall. Thanks for the insight. I haven't seen enough REO's those years to be up to speed on them. They sure are great cars. 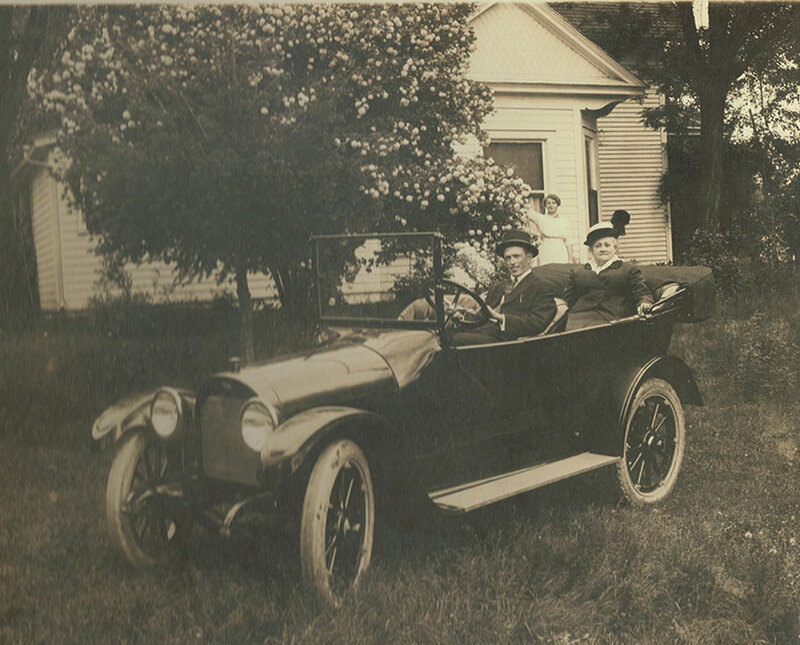 I have a barn fresh 1908 2 cylinder gentelmans roadster and the barn fresh 1913 Reo roadster. They both are a great ride. 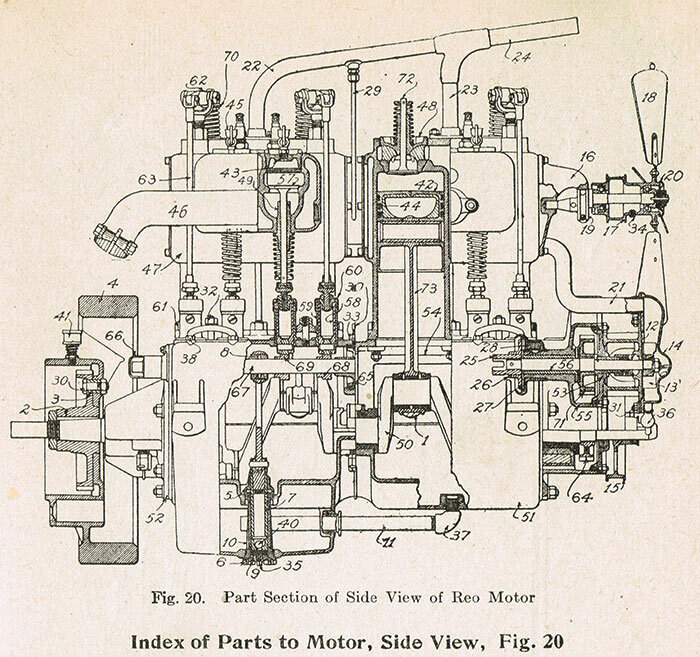 The 2 cylinder is as powerful at a 20 hp 4, the 1913 is very powerful at 45 hp. That car drives and shifts easy and has great brakes for its age. Ramsom Olds stated that his latest creation the 5th series Reo was the absolute best car he could design and build, just maybe he was right!! 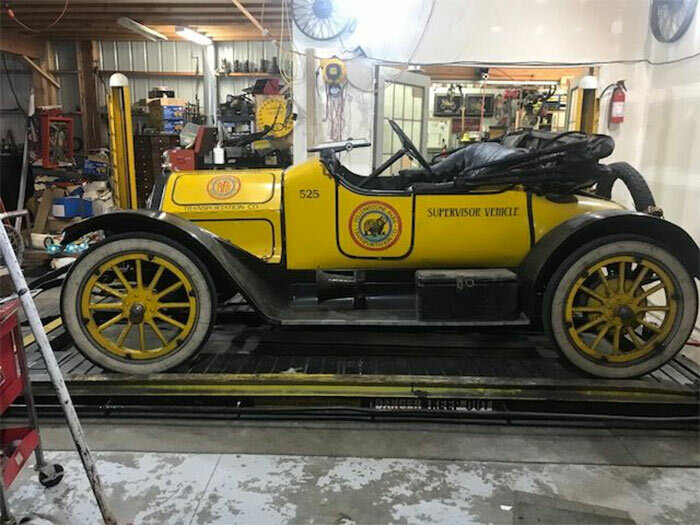 "brass car guy" just sent me some photos of his 1913 REO Roadster. It looks like a great car. Automobile Engineering Vol. 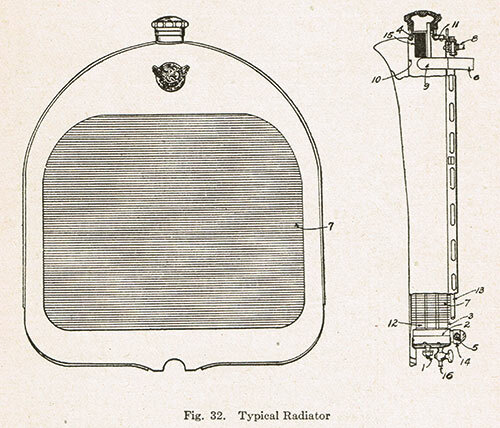 I 1920 showed these illustrations of REO as a "typical" automobile.